Traditional management styles often take a tough approach to leading employees. There are strict sets of rules and code of conduct to be followed. When employees commit mistakes, they are reprimanded or punished. The problem with this tactic is it creates stress and therefore affects employees’ productivity level. Another silent productivity killer is boredom. On a normal weekday, a typical employee will spend 8 hours a day at work and it will usually begin with a list of to-do’s, emails to check, and documents to review, with very minimal interaction outside work. The lack of human interaction and repetitiveness of the routine can bore employees and eventually decrease productivity and dampen creativity. How do you address these issues at work? 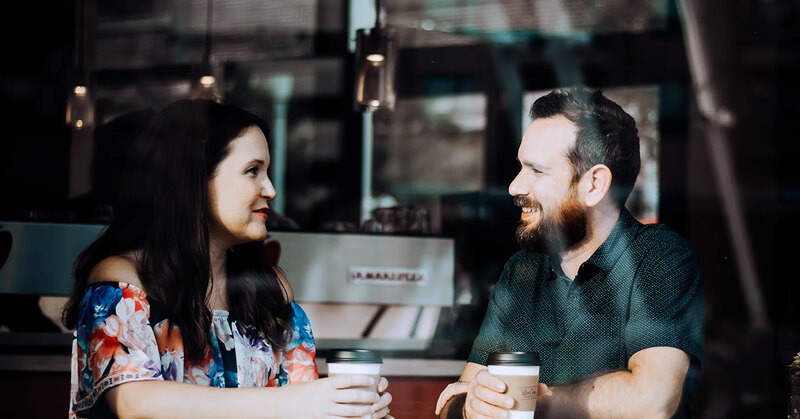 Psychologists, mindset coaches, as well as management experts advocate creating a culture of compassion in the workplace and one of the ways to do this is by promoting Nonviolent Communication (NVC) or Compassionate Communication at work. Simply put, compassion is your ability to understand how you or others feel, with a genuine desire to help ease the suffering of another. Lack of compassion in the workplace or in your personal life can make you feel neglected, causing anger, anxiety, and resentment. At work, it can lead to burnout and increased absenteeism. Try to imagine yourself as a staff in two different offices. Both are 9 to 5 office jobs. In office A, your day starts with a barrage of job requests from your manager and people from various departments through email. These emails just contain the standard “hi”, your name, the job order, and nothing else. Your manager never bothers to ask you about your workload or whether you can do these things. You feel more like a machine than a human being ordered to do things. In office B, you are also bombarded with job requests, but the work never feels burdensome because your manager always asks about your workload and how he can help you with your tasks. Your teammates also check on your availability before sending out requests and take the time to get to know you outside work. You feel cared for and enjoy being at work. Where would you rather work? Obviously, many of us would like to be in office B. We would like to be treated with care, kindness, and respect. This culture of compassion where you are aware of other people’s feelings and take them into consideration when dealing with them creates a positive environment that nurtures success. Compassion not only helps at work but more so in personal relationships. Being compassionate helps you understand yourself and others better. In your personal life, compassion increases your happiness and well-being because it deepens the human connection. It reduces conflict and distress, and also improves health as we are able to live an authentic life while caring for others and for ourselves. Opening yourself to others is a liberating as well as a rewarding experience. The question now is how to actually create a culture of compassion. Nonviolent Communication is one of the most effective ways to foster compassion. It can be applied to work and personal settings as it helps people rethink and restructure the way through which they express themselves and listen to others. It is a framework for communicating what we feel and what we need in a manner where we will be understood. Its main purpose is to create human connections and governmental and corporate structures that empower compassionate giving and receiving. Honest Self-expression – your ability to express yourself truthfully in a manner that can inspire compassion in others. 1. Observe the situation objectively. In any situation, observe objectively without evaluating, blaming or moralistically judging yourself or the other person. Use your senses (sight, hearing, touch, taste, smell) to observe. For example, if a co-worker comes in late for work, you can simply observe the fact that “he is late for work.” Avoid adding evaluations to what you observed. If you say “He’s late again because he’s lazy,” that already includes an evaluation. People may not agree on evaluations, but objective facts give them a mutual point to talk about. You can’t argue about observable facts that really happened. 2. State how the observation is making you feel. Feeling is different from thinking. Instead of judging, criticizing, or blaming yourself or the other person in your mind, identify and express how your observation is making you feel. The goal here is not to shame others, but to help identify what you or the other person is feeling at any given moment. 3. Connect with a need. Connect the observation and feeling with a need that is not being met. What is happening and how we are feeling are a result of needs that are not being met such as sustenance, trust or understanding. The reason why people feel unpleasant or unhappy is because there are needs that are not satisfied. When connecting your observation and feeling with a need, you can state your need or try to guess what the other person needs. Again, in the case of a habitually late employee, you can say “I noticed you’ve been late 3 times a week and last week (observation). I feel anxious (feeling) because we need to meet our deadlines (need). After stating your observation, feeling, and need, it is time to ask specifically and clearly what you need or want from the other person. Avoid saying what you don’t want. The goal here is to attempt to motivate the person out of willingness and compassionate giving, instead of fear, guilt, shame or obligation. We often communicate with moralistic judgments, evaluations, criticisms, demands or labels of right or wrong. Speaking and thinking in these ways often leads to inner wounds, which in turn often evolve into sadness, anger, or even physical violence. Practicing Nonviolent Communication in our daily life will help eliminate these negative emotions and resolve conflict with ease, resulting in harmonious relationships and peaceful environments that support growth and fulfilment.